Directions: Remove stems from kale and chiffonade (cut into really small strips, like ribbon). 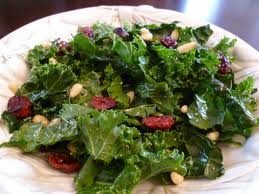 Put kale into a bowl and pour salt on top and gently massage salt into kale until you see the kale start to darken in color and start to appear moist. Add dried cranberries, sunflower seeds, bleu cheese, and green apple. Pour ½ cup of vinaigrette and mix thoroughly. Depending on how much dressing you like and how dry your kale is you may need to add more. Start with the ½ cup and slowly add a couple tablespoons at a time until you are satisfied with the amount of dressing. Enjoy! Directions : In a blender, combine all ingredients except for the oil. When adding salt to the dressing you should add very little to begin with because the salt in the kale and bleu cheese will add a lot and you don’t want your dressing to be too salty and become overpowering. Once ingredients are in the blender, put lid on and turn on blend setting. Through opening on the blender cap, slowly drizzle the oil into other ingredients until the dressing becomes emulsified and thickened. Taste for seasoning and add more pepper if desired. I would add your dressing to the salad and taste before adding more salt. If you would like more salt then add until you get the desired flavor. Spice up your Holiday Party! Event Coordinator, Kassie Seaton is also a member of the SASS Urban Jazz Dance Troupe based in Kirkland. This troupe of ladies performs at events throughout the Seattle area and would be happy to perform at your next celebration or holiday party. Click Here to contact SASS Urban Jazz Dance Troupe. These nostalgic creamsicles are made with vanilla pannacotta and topped with orange gelatin. 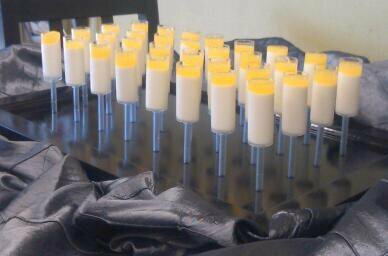 Mini-Pushpops are a big hit with all our guests and can be tailored to fit the feel of the event you are planning along with your favorite flavor! 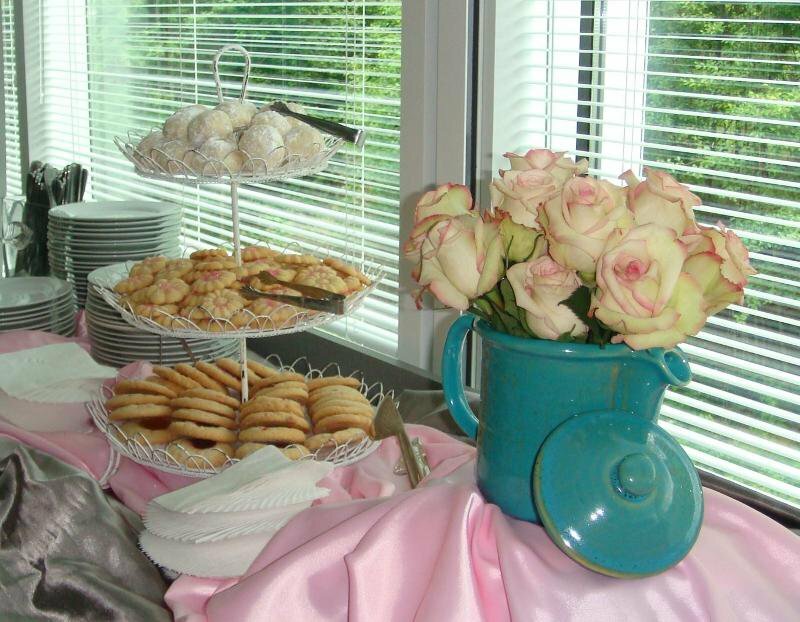 The Tea was served with Housemade Scones & Preserves, Spritz Cookies, Thumbprint Cookies & Russian Tea Cakes. Hoping all of you are enjoying this beautiful summer in the Pacific Northwest! 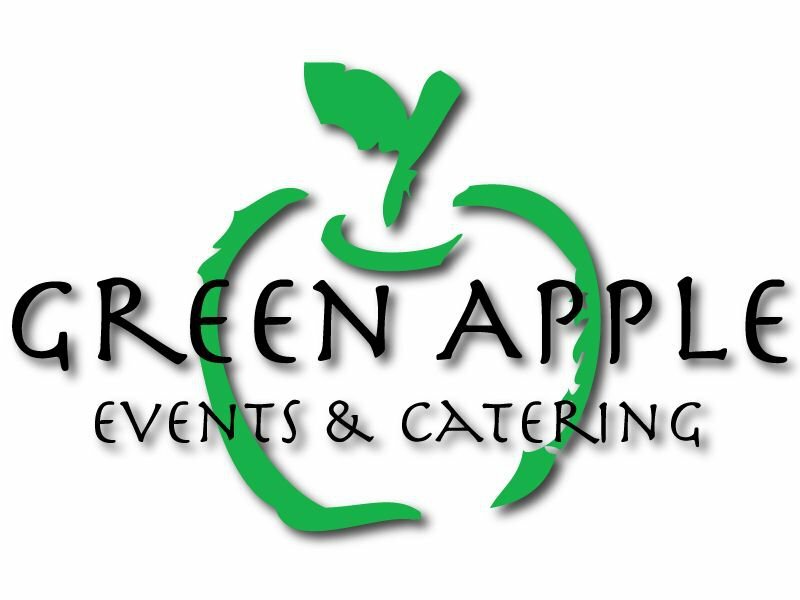 This is a busy month for Green Apple Events & Catering serving a total 2,859 guests at 62 events. We always accommodate a few last minute events as well so that’s not quite the final tally for August! Several of our events this month are upwards of 200 guests and a handful are for as few as 15. No matter how large or small of an event you are planning, we are here to serve and look forward to making your next event exceptional! Much appreciation for your continued patronage! 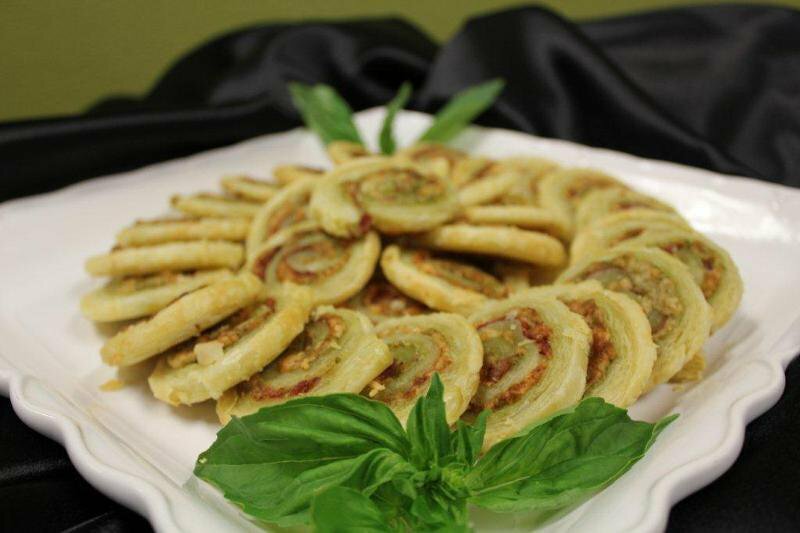 What’s new at Green Apple Events & Catering? Our Red Cedar Bar is beautiful! (and transports easily)! 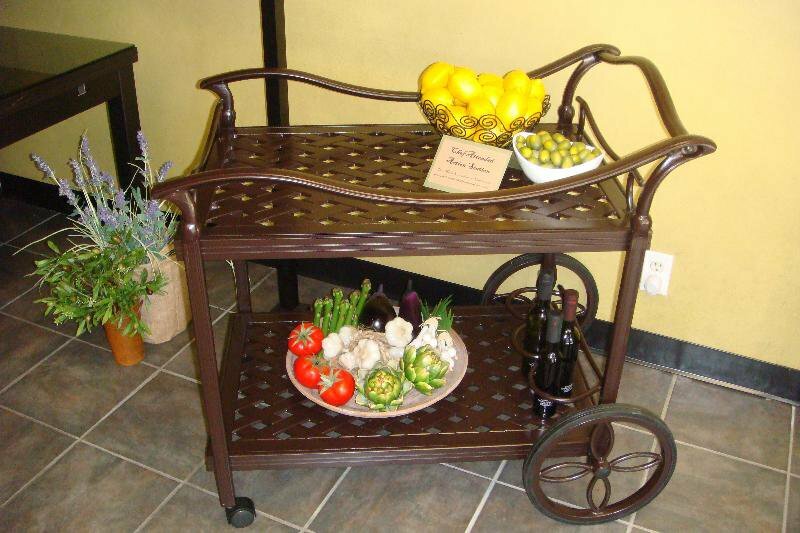 Our Chef-Attended Action Station is perfect for Pasta Made to Order or any of our Action Stations. 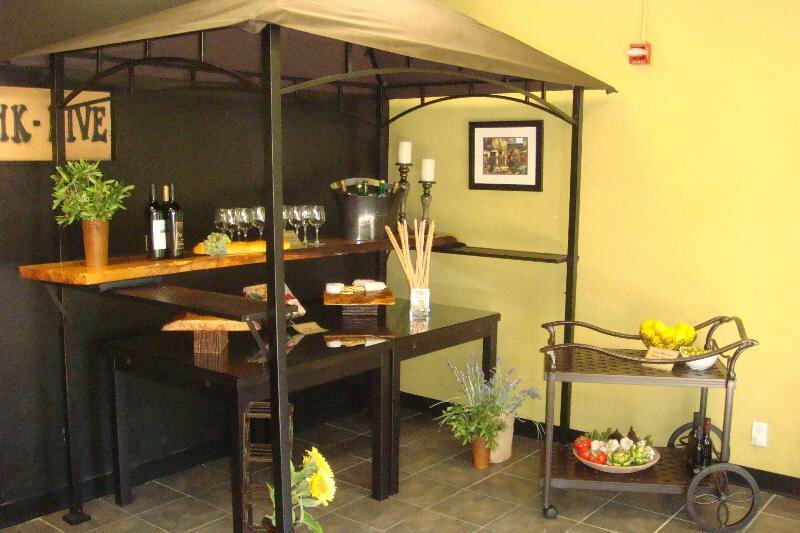 Our Tasting Room Showcasing our Red Cedar Bar, Chef-Attended Action Station Cart and an Italian Bruschetta Bar. 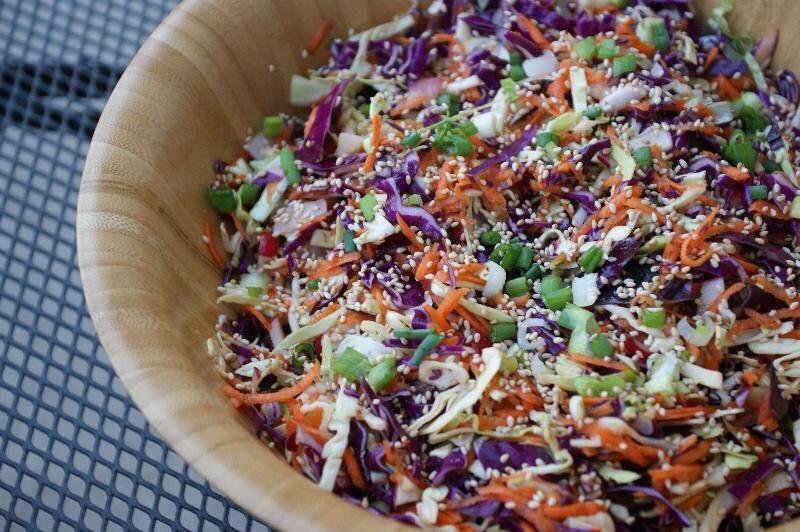 Our Executive Chef, Sarah has shared her Sesame Chicken Salad Recipe! This is a customer favorite! Make this for your 4th of July Celebration! 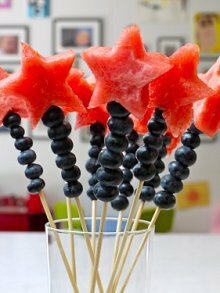 Cut out some watermelon stars (with a cookie cutter) and skewer with a few blueberries and you have a simple treat that is tasty and festive! Garnish your fruit platter with these fun fruit kabobs or serve skewers sticking in a bed of wheat grass! Serve chilled! Happy 4th of July! A loss has been felt throughout caterers across the country. 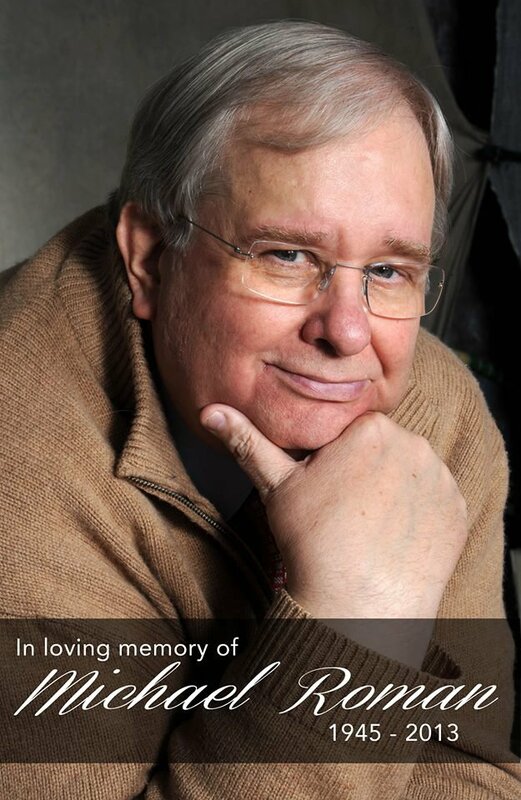 Mike Roman meant the world to the Green Apple team and will be sorely missed. Summer is here and it is time for some fun in the sun. If you need catering for an upcoming celebration or corporate event we would love to work with you! We appreciate all of you! Thank you for letting us present your guests with our delicious food and outstanding service! We are here to serve and look forward to catering your next event. There is a lot going on at Treehouse Point these days! 1 – Treehouse Point Concert Series – Exceptional talent in a unique setting. Click here for the weekly Thursday night schedule. 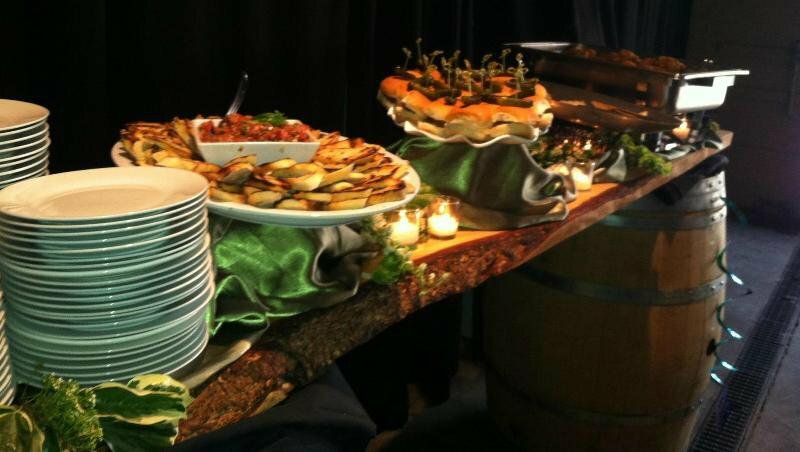 Green Apple Events & Catering serves drinks & snacks at the Cash Bar. 2 – The owner of Treehouse Point, Pete Nelson is the Treehouse Master and has a new TV show. He travels around the world building / showcasing extraordinary treehouses. Treehouse Masters is on Friday nights @ 10pm on the Animal Planet channel. Click here to learn more. Click Here to visit their website and view some of the treehouses! 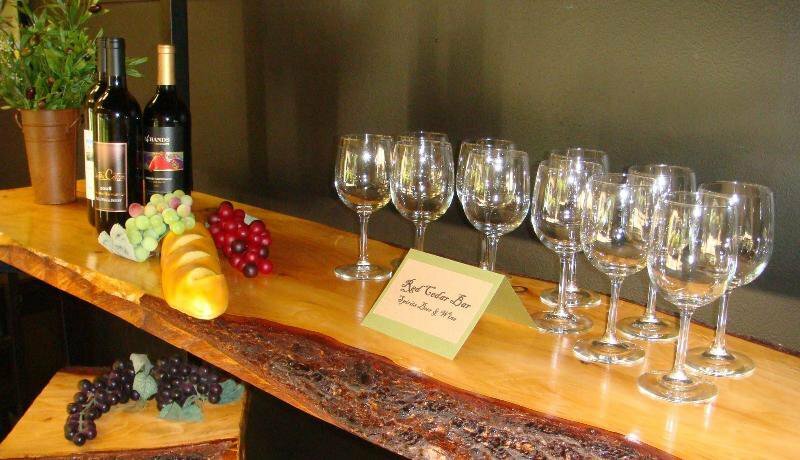 Delicious Hors d’oeuvre Buffet for a surprise party at Matthews Winery displayed on a beautifully crafted piece of red cedar atop wine barrels . Chef Sarah has shared her Quinoa Salad Recipe! 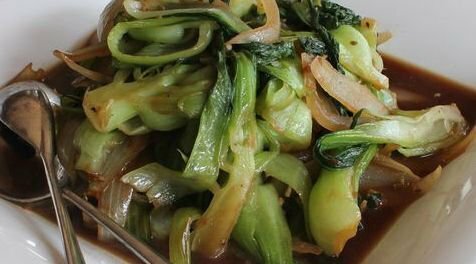 It is a delicious and healthy side dish! 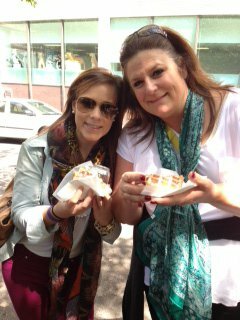 R ead about our Walking Tour in Portland and the original Food Carts! You are not going to want to miss this BLOG! – they have excellent food and outstanding service. Green Apple is a Green Company! Many of our clients ask where we get our fruits and vegetables – we get them from Charlie’s Produce. We value Charlie’s commitment to reducing their carbon footprint on earth. Click Here to read Charlie’s letter outlining the benefits to purchasing local and the farms they work with. Chef Sarah has mastered a skill she learned at Catersource earlier this year –delicate pearls of pure yumminess. 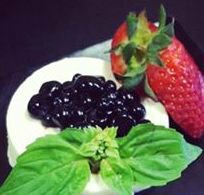 She starts with one of our all-time dessert favorites, Vanilla Panna Cotta and tops it with Balsamic, Basil & Strawberry Pearls. This dessert is a treat for your eyes and tummy! Our team is gearing up for the busy summer ahead. Several test kitchens have taken place recently perfecting our repertoire of delicious food options for you. Take a look at the menus on our website and see what is new! We still have some available dates this summer and would love to cater your upcoming graduation parties, wine tastings, milestone birthday parties, wedding celebrations and corporate events. We appreciate you! Thank you for letting us present your guests with delicious food and outstanding service! We are here to serve and look forward to catering your next event. our company for three years. 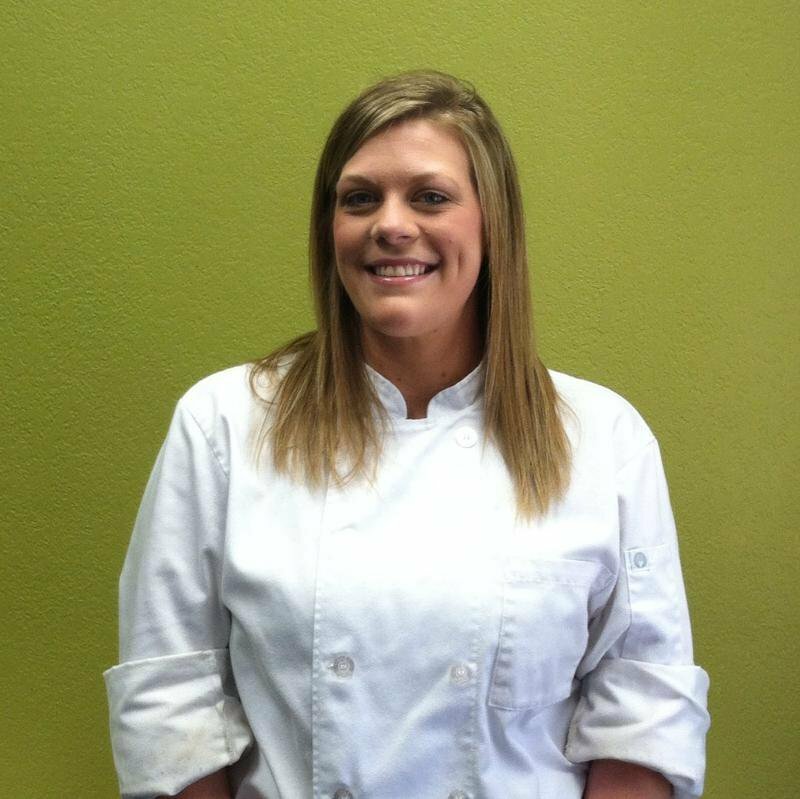 Sarah received her culinary training at Edmonds Community College. 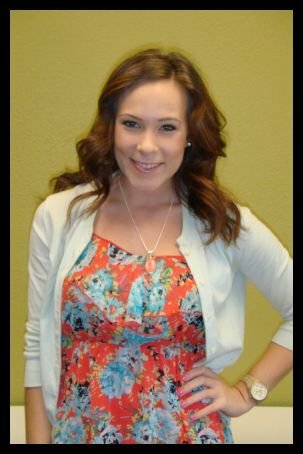 She enjoys continuing her education and attending the Catersource Convention and Tradeshow that takes place annually in Las Vegas. Not only is Sarah extremely passionate about making delicious food, she also brings a fresh creative mind to Green Apple Events & Catering. When Sarah isn’t cooking in the Green Apple Kitchen you can find her at home with her adorable baby boy, Thomas. Sarah enjoys spending time with her boyfriend, watching Dexter and creating home-made greeting cards. We feel extremely fortunate to have Sarah on our team! A very tasty vegie dish that your guests will love! Kassie Seaton joins our team! Kassie Seaton who is our new Event Coordinator! Kassie is a 2011 Graduate from University of Washington. She is an avid dancer and a member of the SASS Urban Jazz Dance Troupe in Kirkland. Kassie has a passion for our legal system particularly civil rights and is a volunteer for the Neighborhood Legal Clinic with the King County Bar Association. great asset to our team! Being named a finalist for the Achievement in Catering Excellence award at the Catersource Convention last month is a testament to our exceptional team! We also want to recognize our amazing clients! Thank you for letting us present your guests with delicious food and professional service! We are here to serve and look forward to catering your next event. Choose from 3 Hors d’Oeuvre Choices. 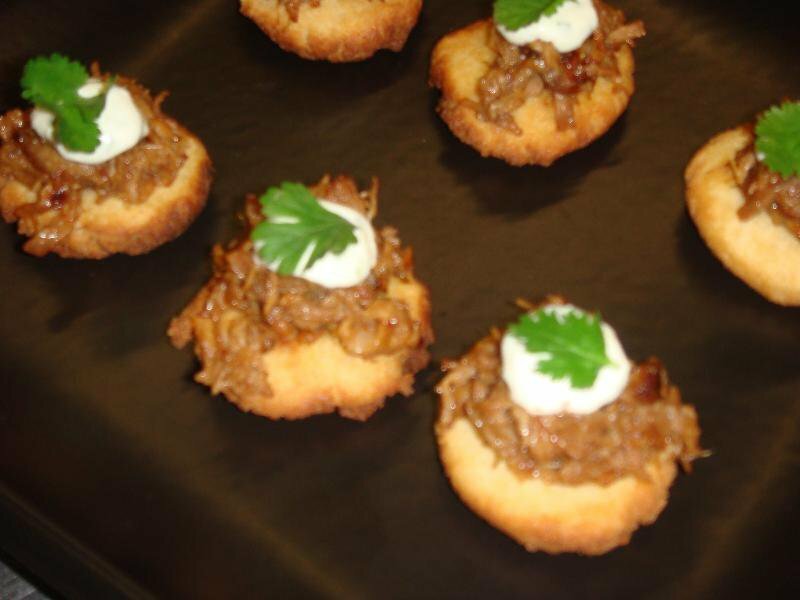 your Wedding by 4/30/13 to receive free Hors d’Oeuvre platters. April Wedding Special for $5,000 minimum. We added a new page to our website! 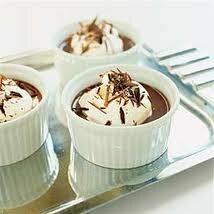 Make your sweetheart a special dessert for Valentine’s day! Then don’t miss this opportunity! at Efeste Winery on Thursday, February 28th. 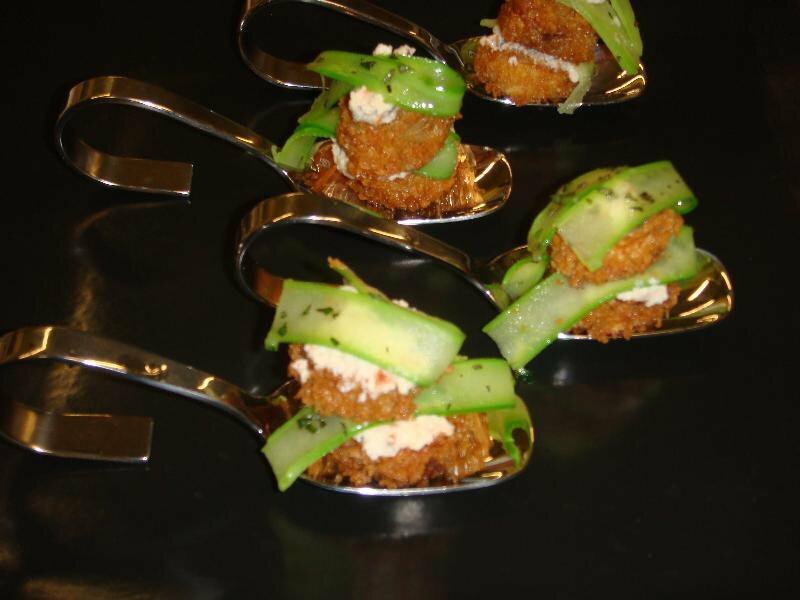 Enjoy the delicious food prepared by Green Apple Events & Catering! 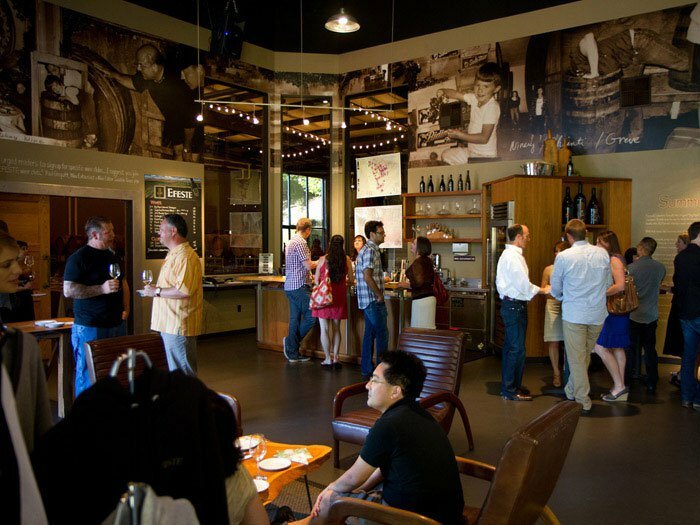 Tour Efeste’s beautiful venue and taste their amazing wines & bites from their Pizza Oven. We hope you can join us! It is sure to be a very great evening! We are looking forward to 2013 with anticipation for another great year serving you! Thank you to all of our wonderful clients. We truly appreciate you! Prepare your Valentine’s Day Dinner! Spend time with your sweetheart and not in the kitchen! Green Apple to prepare your special Valentine’s Day Dinner! Dinner for 4 or 6 can also be accommodated. We have been busy in the test kitchen! Introducing two new appetizers… Both are very tasty ! Wedding Special — Must book Wedding by 2/28/13 to receive free Hors d’Oeuvres. February Wedding Special for $5,000 minimum. 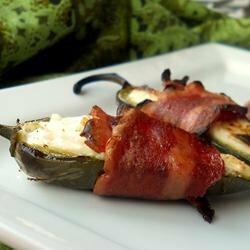 Are you looking for a tasty appetizer for your Super Bowl Party? Green Apple Events & Catering has been named a finalist for the Achievement in Catering Excellence Award. Catersource Magazine, Conference & Tradeshow is proud to announce 26 finalists for the 2013 Achievement in Catering Excellence (ACE) award. This prestigious award represents the top caterers in all aspects of event execution and recognizes nominees in four regions of the United States– East, South, Midwest and West– as well as International caterers. The finalists and winners are determined by past winners of the ACE award, who represent Catersource’s commitment to being the top resource in the events industry for caterers by caterers. Finalists must demonstrate excellent business acumen, top presentation skills, a commitment to culinary innovation, sales and marketing expertise, and excellence in all areas of event execution. The winners will be announced at the Catersource Conference in March. Join us for an Event Planner’s Open House! Planning a corporate event, a wedding rehearsal dinner, a milestone birthday or anniversary party? 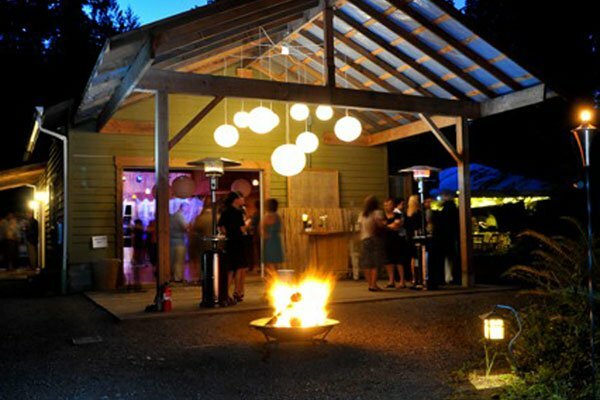 Then don’t miss this opportunity to see Efeste Winery’s venue and taste their fantastic wines paired with delicious food from Green Apple Events & Catering! Click HERE for an email reminder. 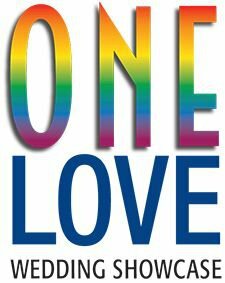 Join One Love early this spring to celebrate Washington state’s acceptance of marriage equality at our second annual wedding showcase! Some couples have waited 10, 20, even 30+ years to be able to celebrate their love and commitment to each other while receiving equal rights as a married couple. 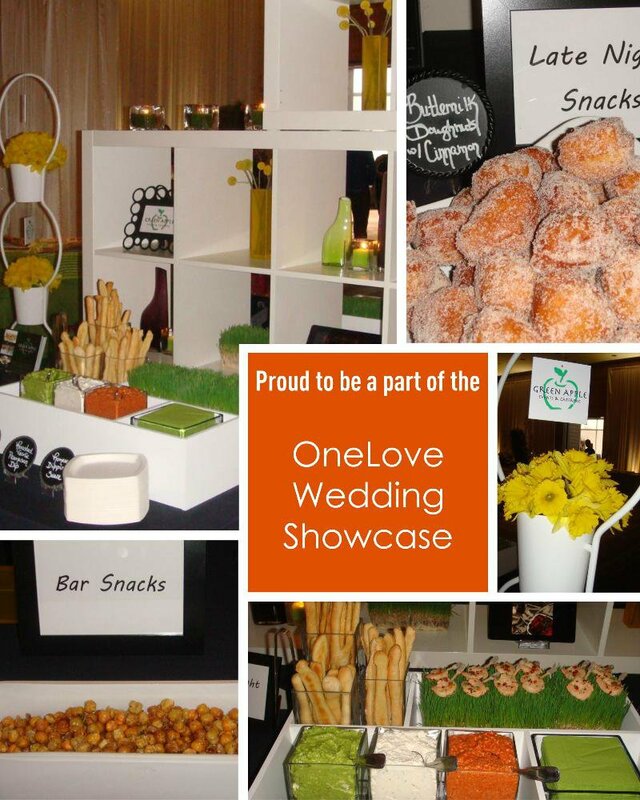 One Love’s upcoming showcase will be an exciting opportunity to assist with their long-awaited weddings! Click HERE for more information. Save on a FESTIVE FEBRUARY celebration! or a Chinese New Year celebration! We have amazing menus and creative tablescaping for you! Booking Special for One Week Only! Must book between 1/24 and 1/31 .